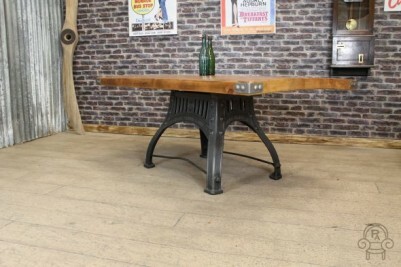 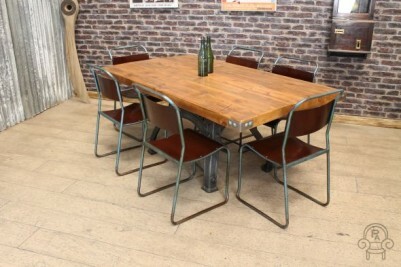 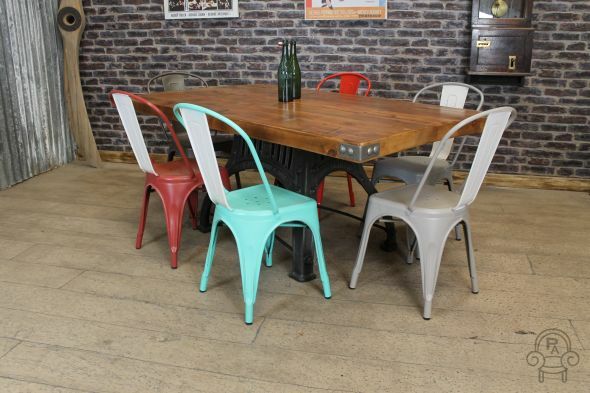 This fantastic large rustic style dining table is a brilliant addition to our large range of vintage and industrial style furniture. 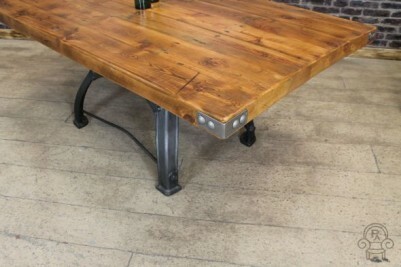 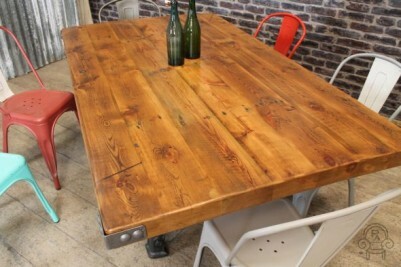 This original table holds a 50mm thick reclaimed pine top which gives it a beautiful rustic appearance. 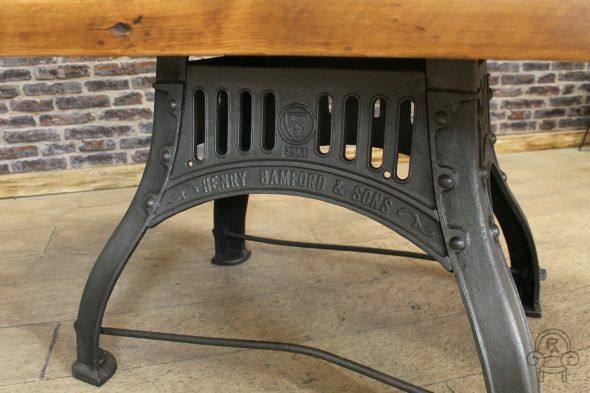 It boasts a unique cast iron base which enhances its urban charm and character. 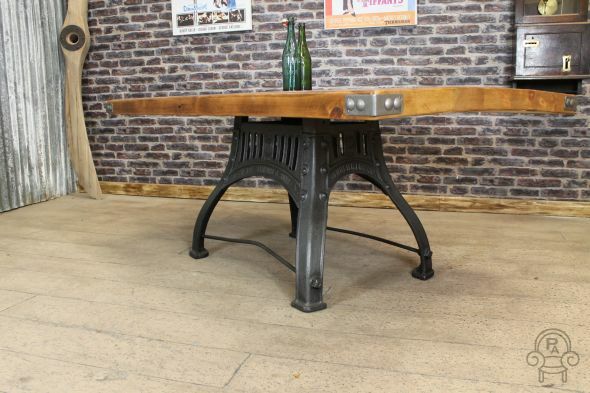 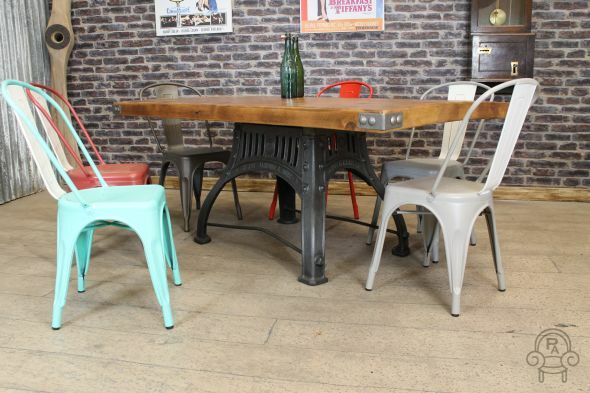 This table would be ideal as a statement piece for any large country kitchen, or equally suitable for any vintage style restaurant or bistro bar.